Children, you must have heard a lot about Mata Vaishno Devi and her holy shrine. 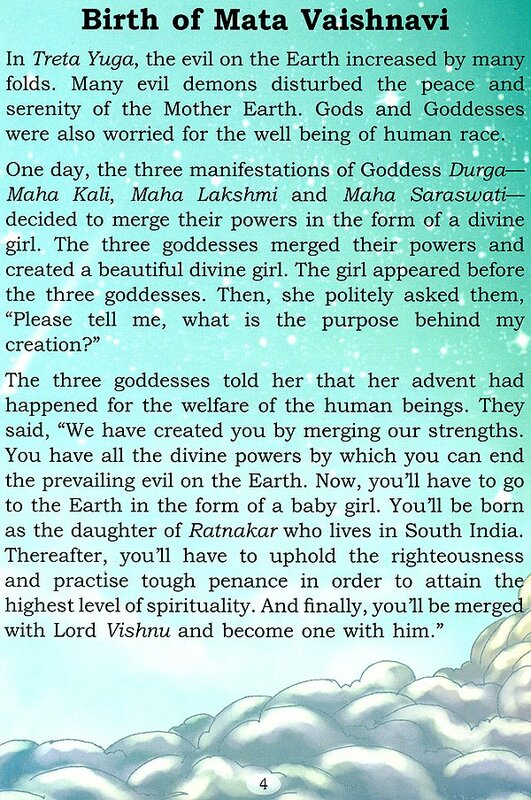 But do you know the interesting stories behind Mata’s advent and the origin of her shrine? The holy cave of Mata Vaishno Devi is situated at the Trikuta Hill in the state of Jammu and Kashmir in Northern India. Mata Vaishno Devi, in the form of a natural rock, resides in the cave , along with the pindies of the three Mahashaktis-Maha Kali, Maha Saraswati and Maha Lakshmi. Read the story of Mata’s great advent. Also read about Mata’s greatest devotee Shridhar. There is also a very interesting story behind the Bhairav Nath temple near Mata’s Bhawan know all this and much more about the Goddess. Start reading these stories mow and know all about Mata Vaishno Devi. 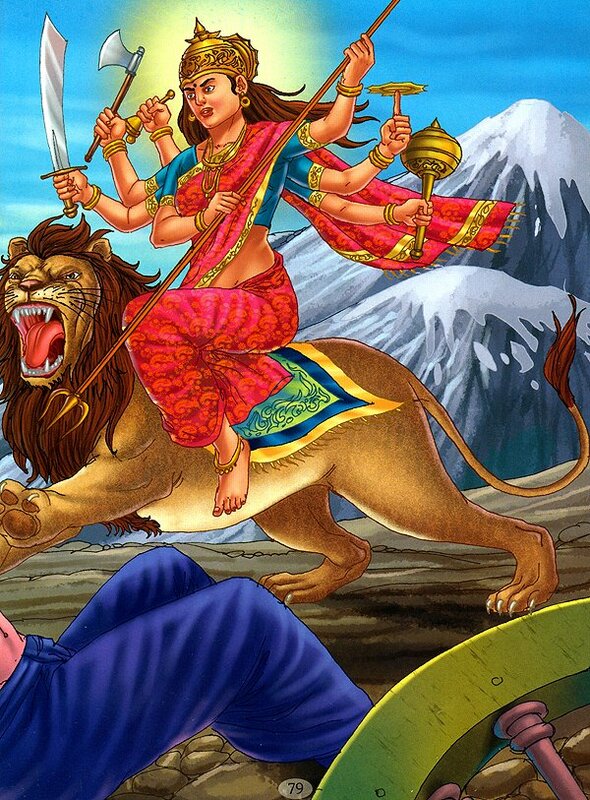 Goddess Vaishnavi or Mata Vaishno Devi is the most revered and worshipped Goddess in India. 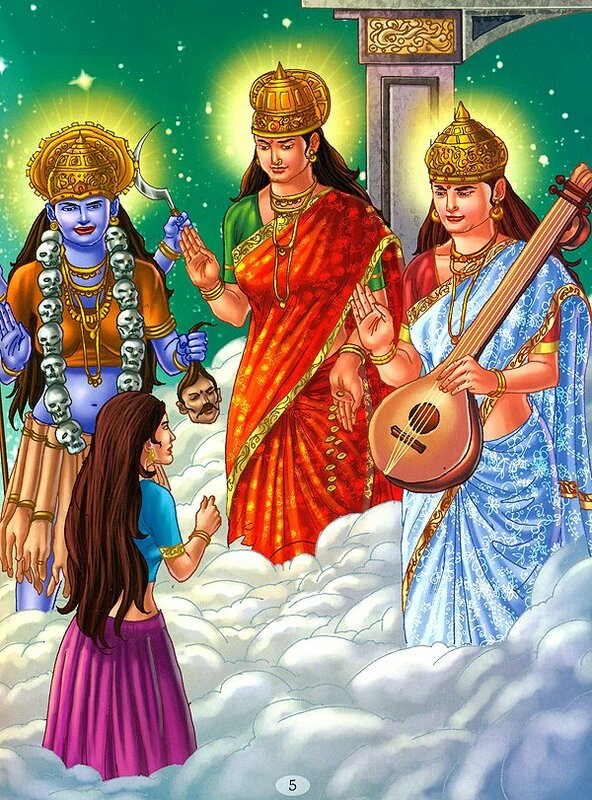 The advent of Mata Vaishno Devi happened by the merging of energies of the three manifestations of Goddess Shkti- Maha Kali, Maha Saraswati and Maha Lakshmi. The holy shrine of Mata Vaishno Devi fulfills all the derams and desires of her devotees. 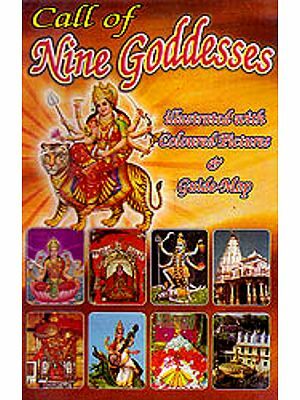 Her is a collection of some of the most significant stories of Mata Vaishno Devi presented in a very attractive manner.